DeAndre Jordan and LaMarcus Aldridge both grew up in the Texas, played their college basketball in the state and over the past week they have contemplated returning home. With Aldridge choosing to sign with the San Antonio Spurs over the Los Angeles Lakers or Portland Trail Blazers and Jordon’s continued dilemma on whether to sign with either the Dallas Mavericks or the Los Angeles Clippers – the merits of state taxation on free agent signings has been brought to the forefront. In order to properly analyze the potential salary offers from different teams there are several financial dynamics that need to be taken into consideration. First, there’s the length and the terms of the contract, which are dictated by the Collective Bargaining Agreement (CBA) of the National Basketball Association (NBA). Second, there are the unique income tax liabilities for each team and the states in which they reside and third, since each potential offer vary in length – each proposal needs to be discounted into present day value. Under the current CBA, Jordan and Aldridge’s current team may offer them a five year maximum salary of $109 million, while all other teams may offer only a four year contract worth $80 million. Therefore, in order to have an accurate evaluation of these numbers, the federal and individual state tax liabilities need to be taken into consideration in determining the net value of each team’s offer. Once the net value of each contract is determined, these numbers need to be brought back into today’s dollars and the net present value should be used to make a fair comparison of each offers. Therefore the question that needs to be answered in both cases is whether the additional tax liability in playing in either California or Oregon offset any advantage those teams have in being able to offer more than their competitors? Last season, NBA players not only played games in their home state they also played games in 21 additional jurisdictions that impose a tax on income. In addition to state and city taxes all athletes will also be subjected to federal, Medicare, and Social Security tax. The Clippers may offer Jordan an average salary of $21.8 million ($109 million over 5 years). Using the Clippers schedule from last year, Jordon’s tax liability would net him 49.18% of this income or $10.72 million per year. In comparison, last season the Mavericks, which are based in Texas, which doesn’t have any state income tax, Jordan’s state tax liability would only be his nonresident exposure which would be considerably less than that of the Clippers. With an average salary of $20 million ($80 million over 4 years) Jordon’s tax liability would net him 56.62% of his income or $11.32 million per year. 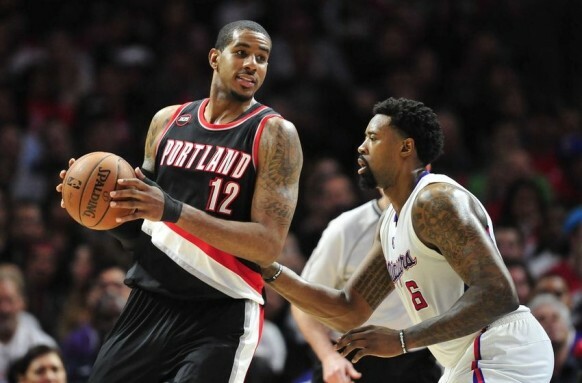 Similar to the Clippers and Jordan, the Trail Blazers may offer Aldridge the same average salary of $21.8 million ($109 million over 5 years). Using the Blazers schedule from last year, Aldridge’s tax liability would net him 50.79% of this income or $11.07 million per year for a total salary over five years of $55.36 million. In comparison, last season the Spurs, which are based in Texas, which doesn’t have any state income tax, Aldridge’s state tax liability would only be his nonresident exposure which would be considerably less than that of the Trail Blazers. With an average salary of $20 million ($80 million over 4 years) Aldridge’s tax liability would net him 56.77% of his income or $11.35 million per year. Since each player’s current team can offer them a fifth season, we need to take into consideration the value of the additional year. The time value of money indicates that a dollar received in five years has far less value than one received today. Therefore, the net income from all contracts needs to be discounted back to today’s dollars in order to make a fair comparison. Using a discount rate of 7% the chart below shows that the Clipper’s five year contract has a present value of $5.61 million greater than the Mavericks $38.35 million. Again using a discount rate of 7% the chart below shows that the Trail Blazers five year contract has a present value of $6.94 million greater than that of the Spurs offer. In analyzing both Jordon and Aldridge’s contract options, you need to consider the unique tax consequences of each team’s home state while also taking into consideration both the terms and length of the offer. Despite the fact that each player’s current team can offer them $1.8 million a season more, both players net more over the first four seasons by accepting an offer with a team based in Texas. The interesting issue concerns the fifth year. By each player’s current team being able to offer the additional year, each player’s net present value remains greater with their current team – with Jordan netting 8,314,445 more and Aldridge $9,944,870. Therefore financially, the question that each player and his representatives need to consider – if they were to take a contract from any of the teams that can only offer four years – what type of contract could they receive for the 2019-20 season and beyond? In the case of Jordan – if his representatives believe that they can receive greater than the $8.3 million net ($14.69 million gross) or in Aldridge’s case $9.94 million net ($17.5 million gross) that their current team’s contract already provides, than they should feel confident in taking the 4 year offer.